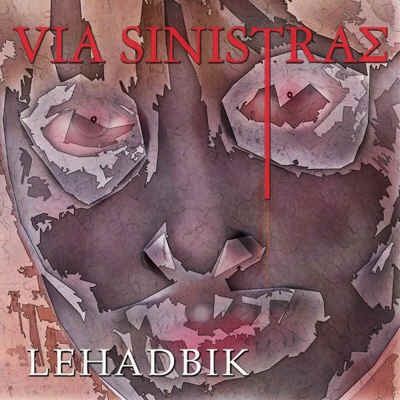 The tracks of Lehadbik were created for the web gallery www.viasinistrae.com, a network of cyber caves were the stories of old mingle with the new. Here, these new mythologies of image, sound, and written language are painted on the virtual walls in the guise of poetry, graphic art, and music. Each track originated as part of a distinct chamber created within the labyrinthine structure of www.viasinistrae.com. In the creation of the music, samples were extracted from a myriad of sources, including live improvisations, online data bases, and previously recorded pieces of music. These were then worked into new sound structures and set to accompany words and pictures, forming a trinity of sensory input. Later, a selection of these pieces was expanded upon and reworked into the 18 tracks featured on Lehadbik.